Many of us use our smartphones as our primary device for listening to music on the go and even though smartphones have been getting significantly bigger over the last couple of years, manufacturers don’t seem to be paying too much attention to speakers or the overall audio output in general. That might not stand true for some manufacturers like Google and LG, who are still including stereo front firing speakers and dedicated DACs on their devices, but a vast majority of the smartphones these days have feeble sounding speakers and disappointing audio output via the headphone jack (provided they haven’t removed it already). That is where volume booster apps come into play. They also come in handy in case the audio file itself has a very low sound output and you aren’t able to enjoy it to the fullest. 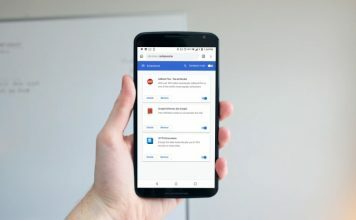 A simple search on the Google Play Store brings up an absolute ton of such apps for Android devices, that claim to improve the sound output, both through the speakers and the headphone jack. However, a significant chunk of these apps don’t work as advertised and barely do anything to improve the sound output on your Android device. On top of that, some of these apps are loaded with ads that pop-up quite frequently, which mars the user experience. 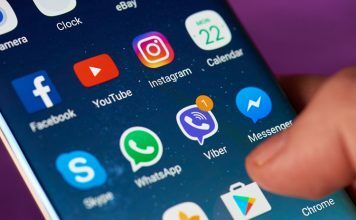 With that in mind, we’ve curated a list of volume booster apps for Android that do work and will improve the audio output of your Android device. Note: Boosting the audio output of your smartphone might cause permanent damage to the speaker or your hearing (in case you use earphones with any of the following apps). Install these apps at your own risk. Kicking off the list is an app that, true to its name, does one thing and one thing alone – boost the audio output from your smartphone. The app has a fairly simple user interface, with a single slider to control the volume boost. Using the stock settings, you can boost the volume output by 40%, but if you wish to boost the volume even further you’ll need to head to the app settings by clicking on the cog wheel in the top left corner of the app. It’s worth noting that the boost settings you choose within the app will be applied system wide, so you can enjoy louder audio using any app. Within the settings, you’ll be able to change the maximum allowed boost for the app and also give the app permission to power up on device startup. Even though the app is quite barebones when compared to some other apps on this list, it does what it claims to do and doesn’t even have annoying ads like many of the others. 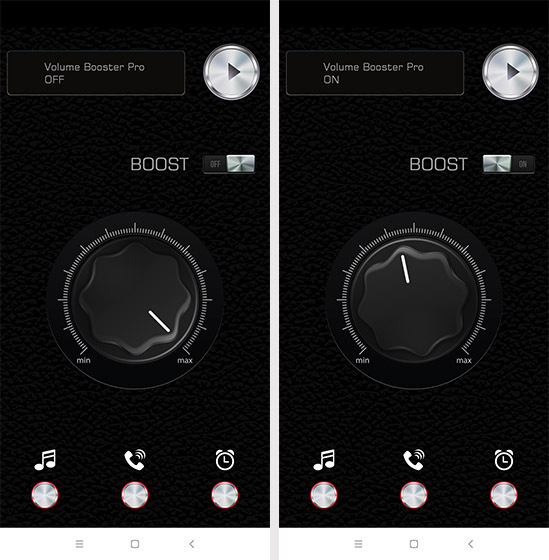 If you’ve been looking for just a simple app to boost the volume on your Android device, you should download Volume Booster without thinking twice. Next up is an app that some of you Mac users might already be familiar with – Boom: Music Player with 3D Surround Sound and EQ. The music player features a ton of customizations to improve the overall sound output from your Android device, including a setting which boosts the volume. Boom also features a 3D surround sound setting with customizations which give you more granular control over the audio output and a decent equalizer to allow you to customize the sound profile. On top of that, the music player supports direct streaming from services like Spotify and Tidal, along with support for online radio station, podcasts, and direct play from Google Drive and Dropbox. However, the app hasn’t officially been released on Play Store and is currently in development, which means that you might encounter some bugs while using the music player. Keep in mind that the app’s volume boost effect is limited to audio played using the app and doesn’t carry over to other apps on your device. Another great music player that you can use as a volume booster for your Android device is the BlackPlayer music player. The app features a five channel equalizer along with a sound effects feature which will allow you to tinker with the audio output of your device. The sound effects menu within the app is where you’ll find the ‘Amplifier’ setting, using which you can boost the volume by up to 4 dB which can significantly enhance your listening experience. Along with the amplifier setting, the BlackPlayer app also allows you to boost the bass, use a virtualizer and control the sound balance, which comes in handy when you’re using headphones or external speakers. 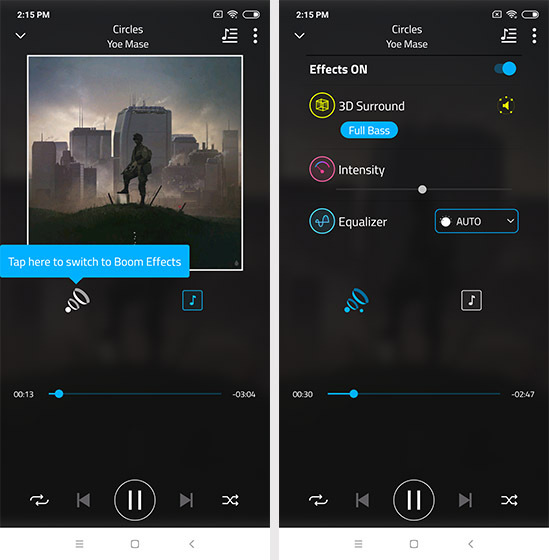 The app has a clean monochrome interface which looks really cool and it even gives you the option to complete customize the look and feel of the music player. You should definitely try out BlackPlayer if you have offline music stored on your device, but do note that the volume boost effect doesn’t carry over to other applications. 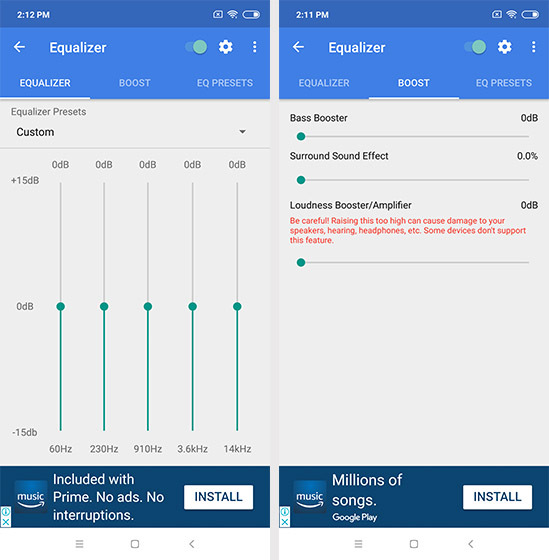 Precise Volume is another great equalizer/booster combo available on the Play Store using which you can significantly improve the audio output from your Android device. As the name suggests, Precise Volume gives you more precise control over the audio output with a 5 band equalizer with some equalizer presets and a boost feature which will allow you to pump up the bass, add a surround sound effect to the audio and, most importantly, increase the overall loudness of the audio. Unlike with BlackPlayer and Boom, the settings you choose in Precise Volume are implemented system wide, which means that the volume boost will work with any app that you use to play audio. The app allows for up to a 12 dB gain, which is pretty great, but might damage your smartphone’s speaker so you need to be careful while using the app. The app also allows you create and save your own equalizer presets which is a neat addition. Next up is Volume Booster GOODEV, which is a barebones volume booster like the first app on our list. The app has a single boost slider which allows you to amplify the volume by up to 60% by default, with the option to increase it even further from within the settings. 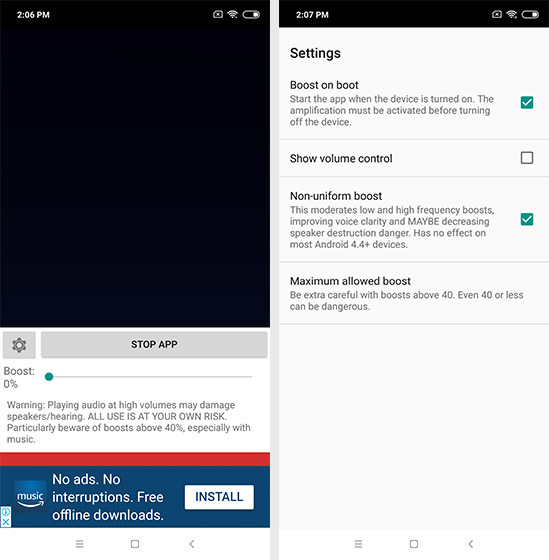 Much like the Volume Booster app at the top of the list, the Volume Booster GOODEV app features a maximum allowed boost limitation and a boost on boot feature. The settings you choose within the app are applied all throughout the system, allowing you to enjoy the amplified sound output from any app. 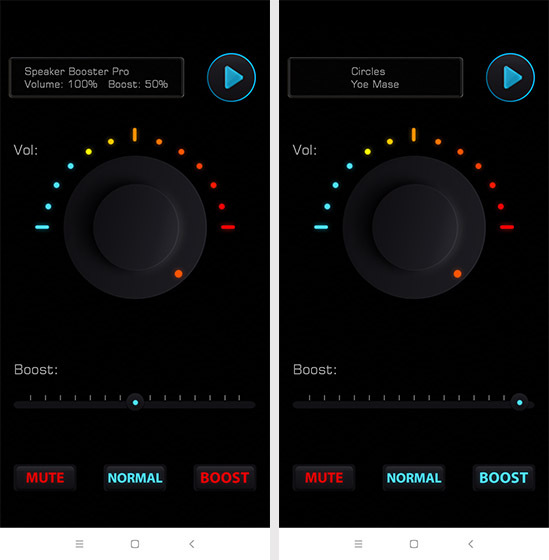 Volume Booster Pro is another quite simple app that allows you to boost the overall audio output from your Android device. 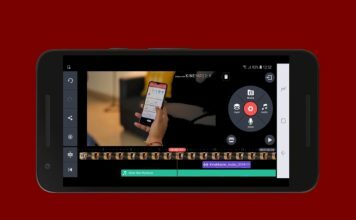 The app has a fairly straightforward user interface with a large volume knob in the middle that controls the master volume, a boost toggle which amplifies the sound, and three dedicated buttons that allow you to boost the volume of media playback, calls and alarms. 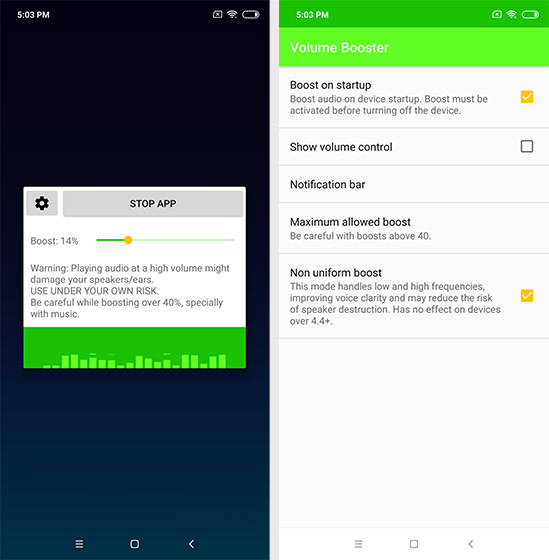 As with some of the other volume boosters on this list, the settings you choose in Volume Booster Pro are applied system wide and amplify the sound output of any app that you use to play audio. The app, however, has extremely annoying full screen ads and constant pop-ups that request you to rate the app on the Play Store, that might bother most users. Rounding off the list is super high volume booster (super loud), an app that says it all in its name. The app has a simple user interface with a volume knob in the center and a boost slider beneath it with which you can control the volume and the volume gain of any audio playing on your device. The app also has quick toggles to mute, boost or normalize the audio, which is a handy addition. The audio settings applied with the app can be enjoyed system wide, so that you can enjoy boosted audio using any app. Much like Volume Booster Pro, however, the app has annoying full screen ads and pop-ups that request you to rate the app on the Play Store, something that’ll surely prompt users to give the app a low score. But that’s not all. In case you have a rooted device, you shouldn’t even bother with any of the aforementioned apps and flash Viper4Android on your device. Undoubtedly the best audio enhancement tool for Android devices, Viper4Android is chock full of features that will allow you to completely customize the audio output from your smartphone. Not only does the app feature a competent audio amplifier, it also features a host of other features with which you can improve the audio profile. I’ve been using Viper4Android on my OnePlus 5 for quite a while now and I thoroughly enjoy the improvement in audio quality it offers, along with the significant gain in maximum volume. The Headphone surround+ feature in Viper4Android takes listening to music on headphones up a notch and the app’s equalizer is also one of the best I’ve used so far. 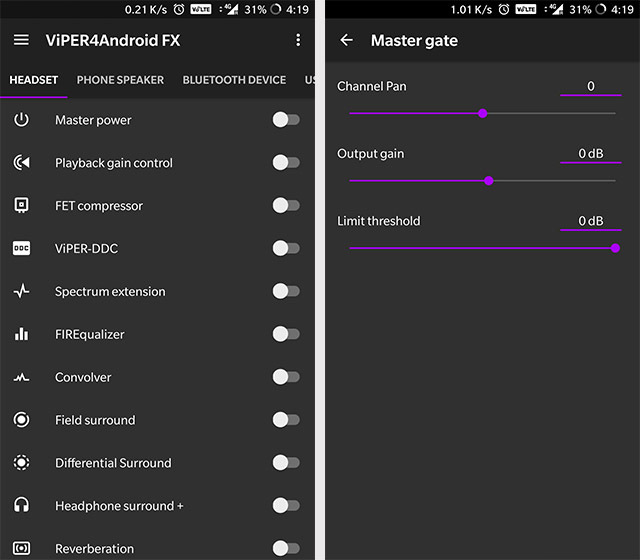 Viper4Android is, hands down, the best audio enhancement suite that you can install on your device, but you’ll need to root your device in order to do that. If you’re already familiar with the process of rooting and flashing packages, then you should go ahead and flash Viper4Android on your device at once, however, if you aren’t really sure what rooting or flashing involves then you should stick to the previous apps mentioned on this list. 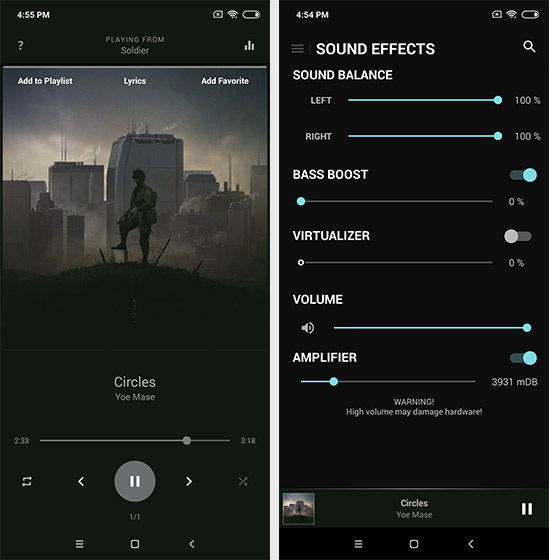 This brings us to the end of our list of the best volume booster apps for Android. As I’ve just mentioned, in case you have a rooted device then you should definitely try out Viper4Android since it is the best audio enhancement tool you can add to your Android device. However, if you aren’t familiar with the process of rooting and flashing .zip files, then you should stick to one of the aforementioned apps that don’t require root access. Have you tried any of the aforementioned apps before? Which one out of the lot is your favorite? Let us know in the comments section below.